the feeling of driving on a smooth surface. 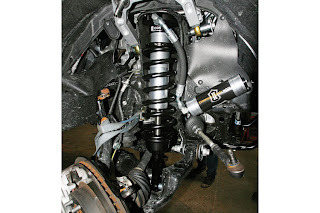 The suspension also prevents the vehicle from being shaken apart. If you want to your car to be able to perform at peak performance, it will be a good idea to learn a bit about suspension tuning. The goal of suspension tuning is to modify the different parts of the car's suspension system in order to achieve maximum performance. This is easier to understand when we think about the way a car works. The purpose of the engine is to provide you with the power you need to move fast, and it is the purpose of the suspension to help you control this power.